Eco-Friendly House Cleaning Made Easy | Help More! Using natural cleaning products is good for the environment and also good for the health of your family. 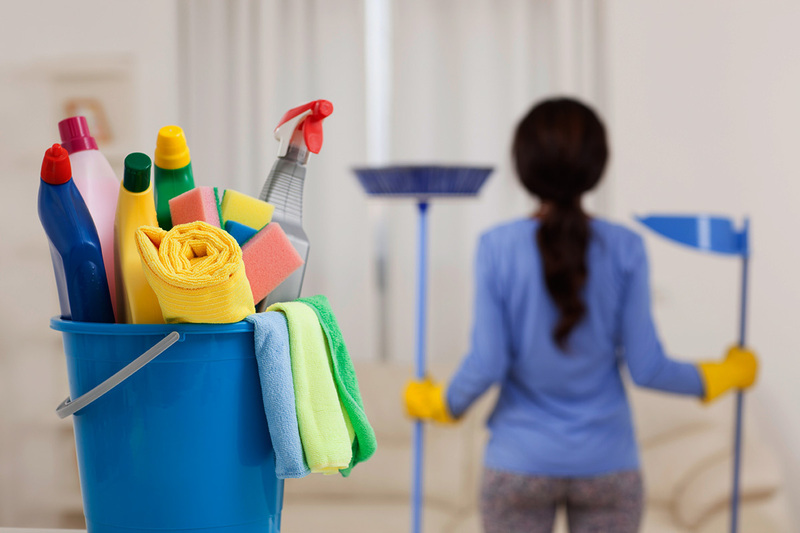 With eco-friendly cleaning products, you can cast aside your worries of inhaling harmful chemical fumes as you clean and disinfect your household. Whatever there is in your home that needs to be cleaned, there is sure to be an eco-friendly solution for it. For every room in your house, there are easy ways to keep every surface clean,but first you need this . The kitchen can be cleaned with ingredients that you probably already have in your cabinet! Baking soda and white distilled vinegar, when combined, make a powerful cleaning solution that can be used on anything in the kitchen. That’s not an exaggeration; a vinegar and baking soda solution can effectively clean inside of the refrigerator, the sink, counter tops, and the burn-on food that can accumulate on a kitchen stove. Even the inside of your oven can become fresh and sparkling by applying a paste of baking soda and vinegar. Allow the mixture to sit for thirty minutes and then wipe clean. Baking soda and white vinegar will also clean your bathroom spotlessly. However, if you need some extra cleaning power, a few tablespoons of washing powder will cut through grease and soap scum. A clogged drain can be naturally cleared using the power of the bubbles that result from mixing baking soda with vinegar. Simply pour baking soda and vinegar down the clogged drain and allow to sit for a few minutes. Rinse well with several cups of hot water to clear the remaining gunk out of the drain. Rooms with fabric and upholstery can be refreshed using a simple room spray that combines powerful essential oils with water. When making an antibacterial spray, be sure to choose an oil with a pleasing fragrance that you enjoy. Popular oils with anti-bacterial properties include lavender, tea tree, eucalyptus, pine, and cinnamon oil. 10-20 drops of oil combined with one cup of water is all you need. This spray can be used on mattresses, couches, rugs, curtains, etc. Mirrors, windows, and more can be cleaned with white distilled vinegar and a clean cloth. Simply spray the surface (or pour the vinegar onto the cloth) and wipe down the mirror thoroughly. Allow to air dry and enjoy a streak-free shine. The easiest way to improve the air quality in your home is to add house plants to your rooms. Although they can be considered décor, plants are an important organism that is responsible for making Earth a habitable planet. When searching for the best plants to use in your home, look for varieties that are low-maintenance and do not need constant sunlight to survive. Good plants for the home include aloe vera, snake plants and Chinese evergreen. Bamboo plants are nice for bathrooms because they do not require much sunlight to survive. More suggestions for house plants can be found on the Mother Nature Network. Instead of throwing away your old t-shirts and towels, make them into reusable cloths that you can use to clean your home. These cloths can be cleaned by simply tossing them into the washing machine and washing on the hottest setting. Living an eco-friendly life can be easy and affordable. You can take pride in the fact that you are doing what is best for yourself as you reduce your carbon footprint. Remember, it is the small changes that can make the biggest impact.